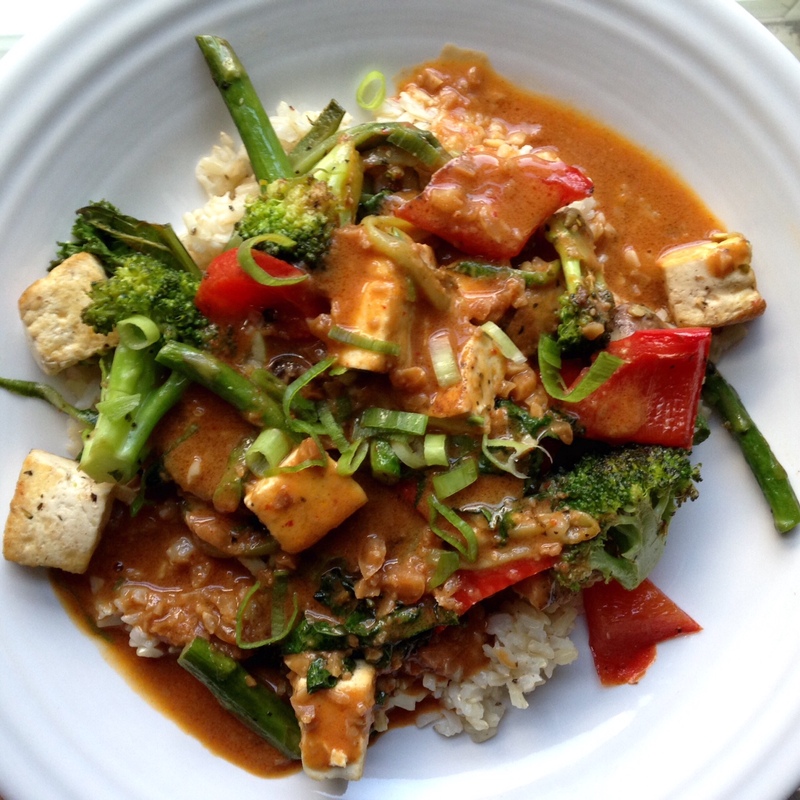 Even though I just made Thai Basil TOFU a few weeks ago, when I was searching for tempeh recipes earlier this week, this simple recipe jumped out at me. 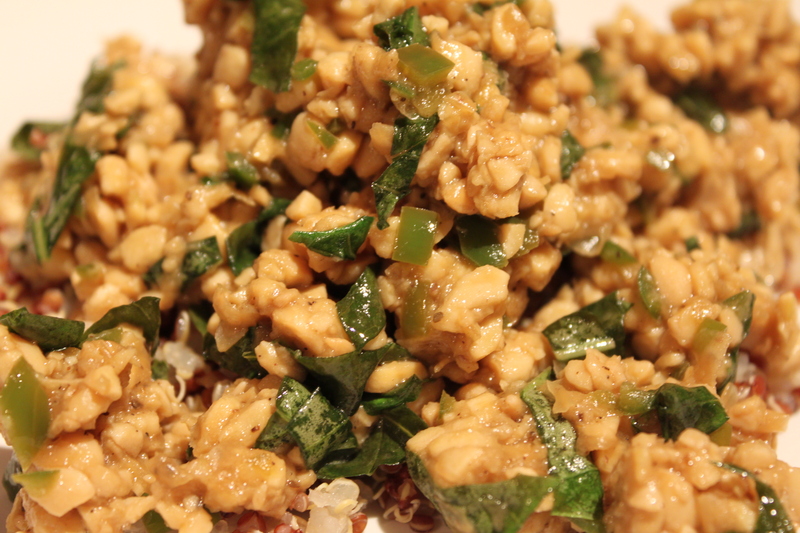 It turned out, basil – and maybe soy sauce – are the only ingredients the two recipes shared, so I decided to go for it. I had everything but the chili peppers already on hand, so I was basically ready to go. Once I went to make it, I realized the recipe was really vague, so I made it how I THINK the author intended. Either way, it turned out delicious. I served it over the mountain of quinoa I had leftover from earlier in the week. It ended up making two servings (if you’re in Europe – definitely serve with sides, etc. – these were not 2 American oversized servings…). 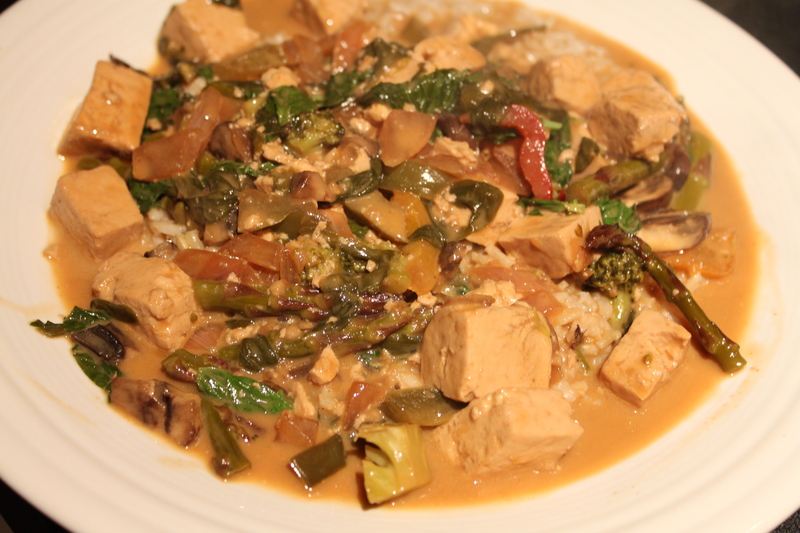 It was a little spicy, ridiculously easy and tasted great. I’ll definitely make it again (only I might double it so we can have lunch leftovers! 1. 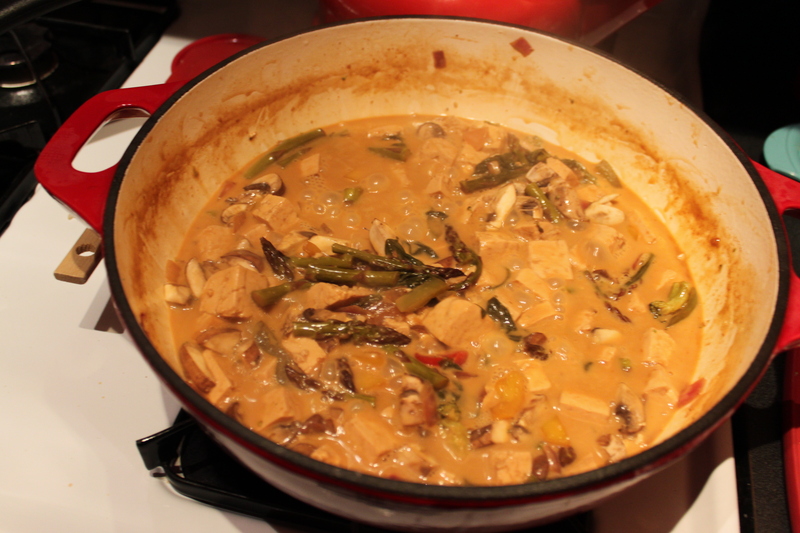 Simmer cubed tempeh in vegetable broth with garlic and pepper in a small saucepan for 45 minutes. This soaked up almost all the broth and kind of smelled like gravy. 2. Heat 1-2 Tbsp. 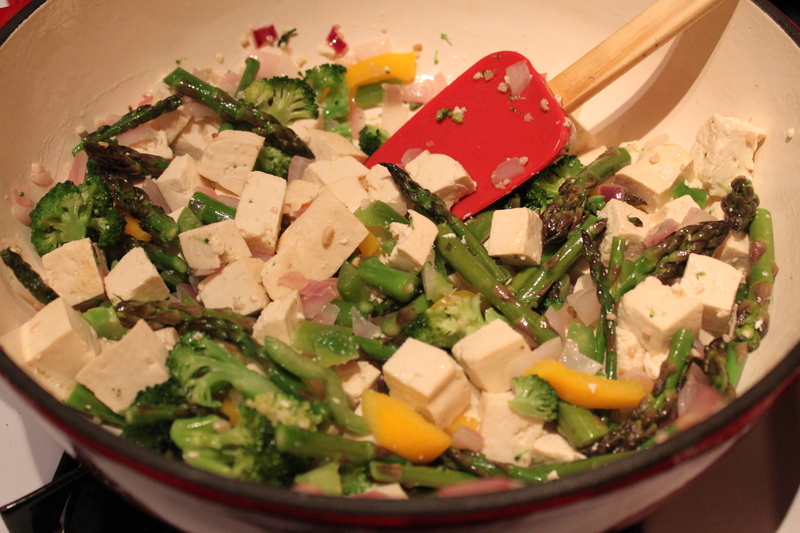 of olive oil in a separate pan and saute tempeh for 2 or 3 minutes, then add chiles, lime juice, soy sauce and sugar and cook for a few more minutes. 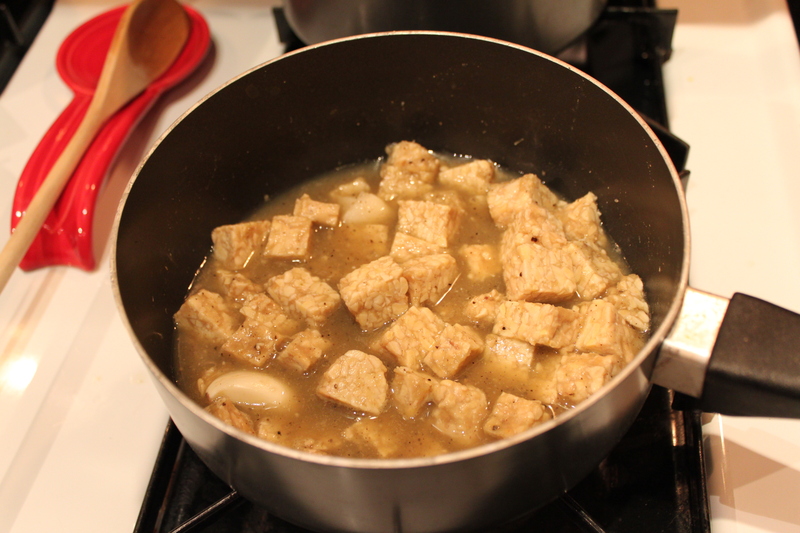 Much of the tempeh broke up while cooking, making it kind of beany or nutty looking. 3. 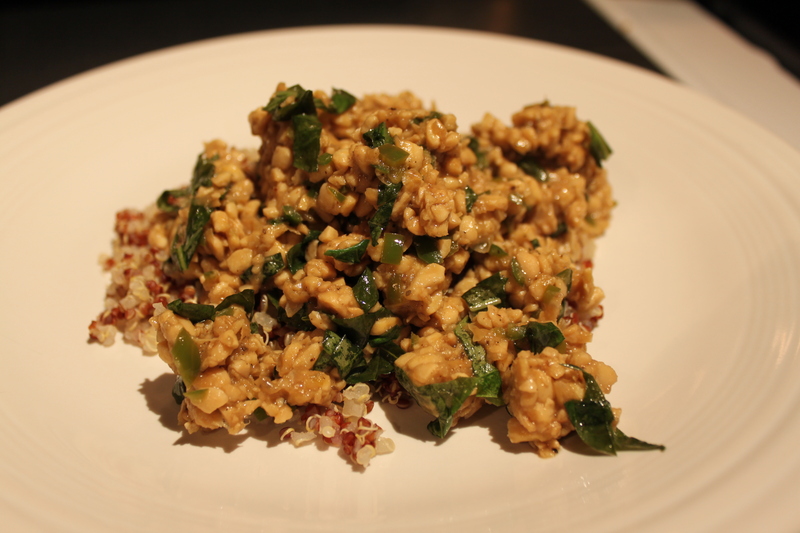 Remove from heat, stir in the chopped fresh basil and serve over rice, quinoa, wheatberries or whatever might sound good. Enjoy!